Militant supporters of crowned Cairo soccer club Al Ahly SC have denied involvement in the storming of the Israeli embassy in Cairo as Egypt’s military authorities vowed to prosecute the perpetrators of the attack that force Israel to evacuate the majority of its diplomatic staff in the Egyptian capital. 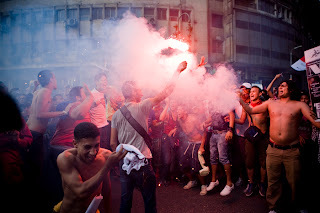 “Ultras Ahlawy deny any involvement in what happened in front of the Israeli embassy, interior ministry and Giza police station,” the group said on its Facebook page. The Al Ahly ultras joined forces with their arch rivals of similarly crowned Cairo club Al Zamalek SC in mass protests on Friday and Saturday demanding an end to the rule of the military which took power in February after mass demonstrations forced President Hosni Mubarak to resign with the pledge to lead the country to elections within six months. 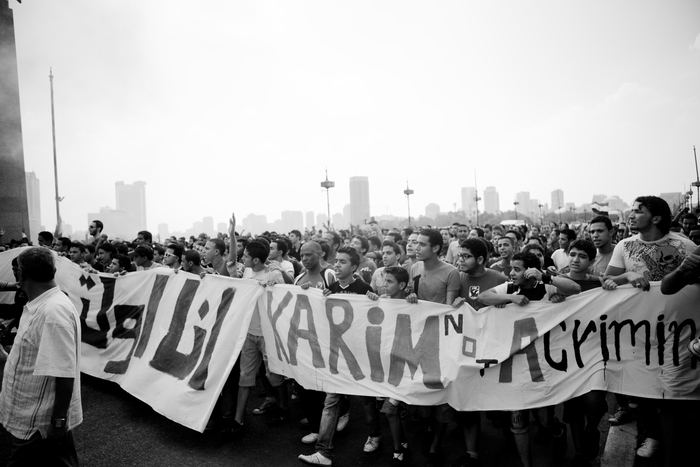 This weekend’s protests reflected mounting frustration with the fact that the military has since delayed the election date although few believe that it wants to retain power, been slow in holding accountable police officers and Mubarak loyalists responsible for the deaths of hundreds during the protests that led to the toppling of the president, cracked down on the right to criticize the armed forces and charged thousands of protesters and activists in military courts. Many Egyptians have also taken the military to task for failing to respond forcefully to the killing last month of three Egyptian soldiers by Israeli forces chasing Palestinian militants near the border with Egypt. 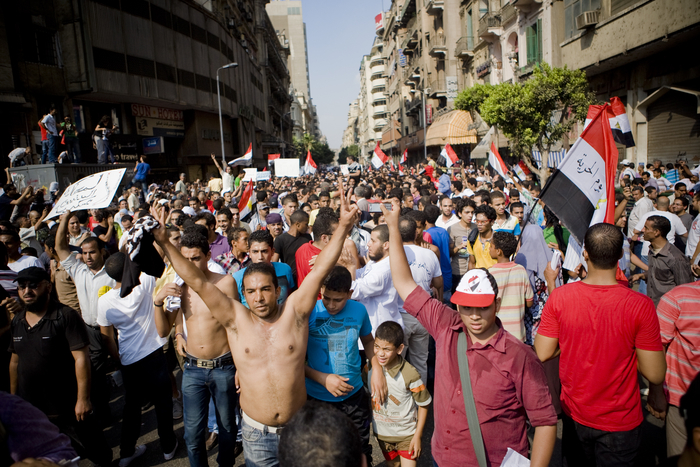 Egypt alongside Jordan is the only Arab nation to have concluded a peace treaty with Israel and to have established diplomatic relations. 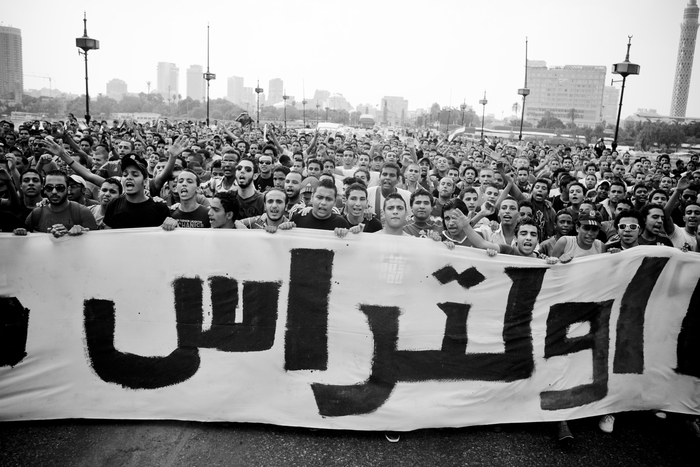 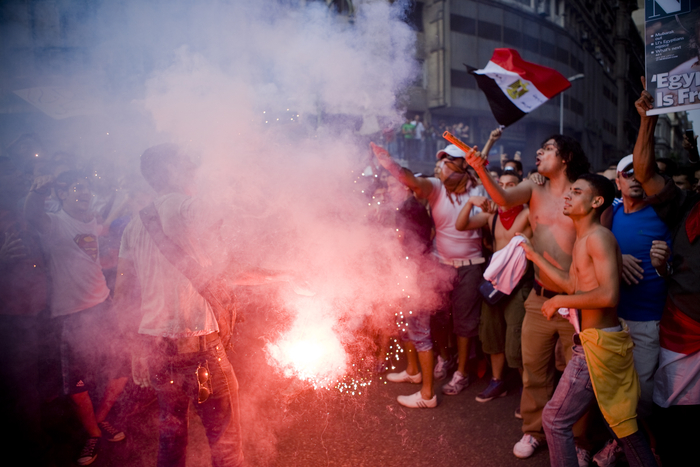 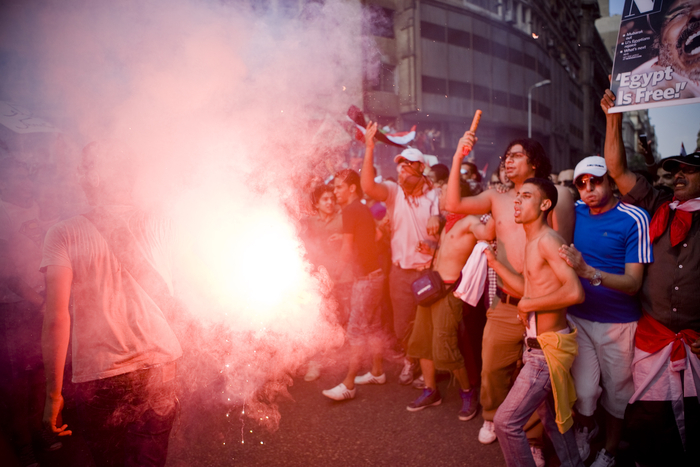 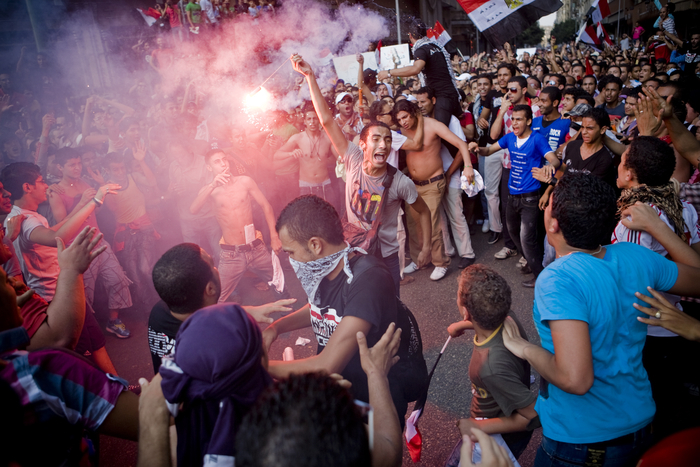 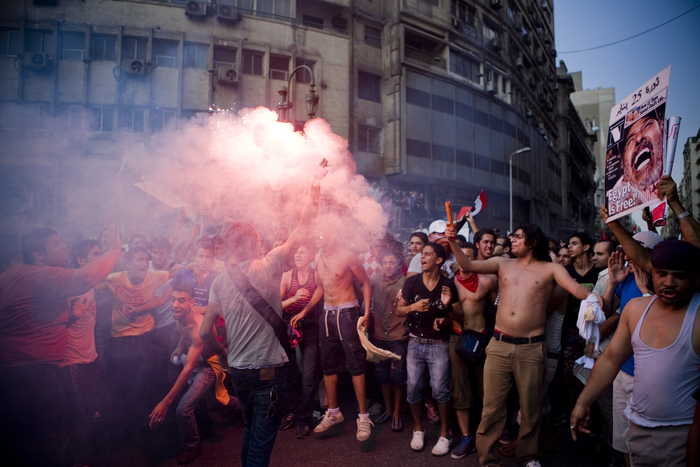 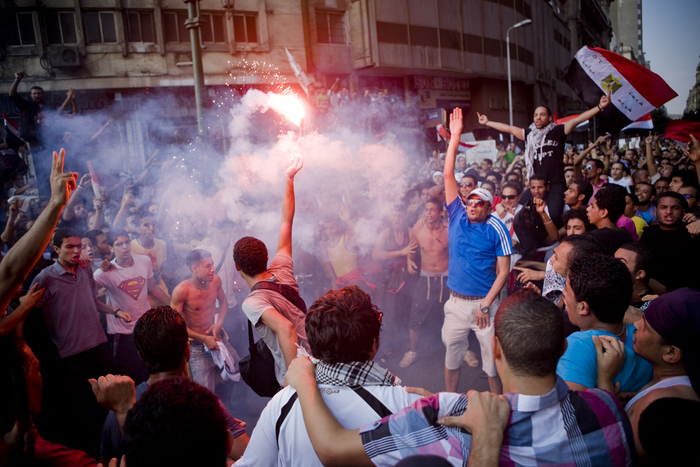 The Al Ahly and Zamalek ultras – militant, violence-prone, highly politicized soccer fan groups modelled on similar organizations in Serbia and Italy – played a key role in the protests that ousted Mr. Mubarak after 30 years in office. The ultras formed the backbone of the protests this weekend that started on Cairo’s Tahrir Square but later erupted into fierce battles in front of the Israeli embassy in which three people were killed and more than a 1,000 were injured. 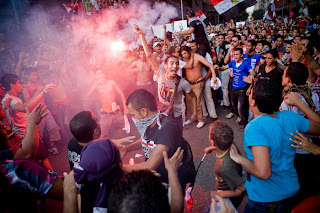 The participation of the ultras in this weekend’s protests followed a clash on Tuesday at a soccer match between Al Ahly ultras and security forces in which some 130 people, including 45 policemen, were wounded and some 20 ultras were arrested. 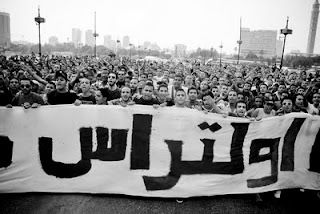 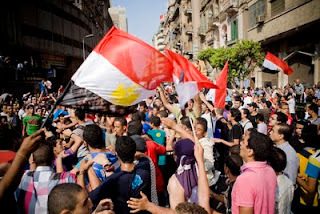 The Al Ahly denial appeared to contradict a series of pictures republished on this blog courtesy of Egyptian blogger 3arabawy (http://www.arabawy.org) as well as a statement on Al Jazeera by a man claiming to be an Ultra Ahlawy militant who participated in the protests and witness testimonies. “A man called Ahmed Mostafa, who claimed that he is a member in Ultras Ahlawy, spoke to Al Jazeera TV today and said he participated in the incidents, but we stress that he does not belong to us,” the Ultra Ahlawy statement said.